A wedding venue like no other! Enjoy a 3 day fully inclusive wedding package giving you the freedom to relax on the days either side of your ceremony. With many social rooms in the main country house and outdoor spaces to entertain in you'll also benefit from spa and fitness facilities. With 8 en suite rooms in the main house there are also lots of other accommodation options in the surrounding area all within the beautiful Teviot valley in the Scottish Borders. 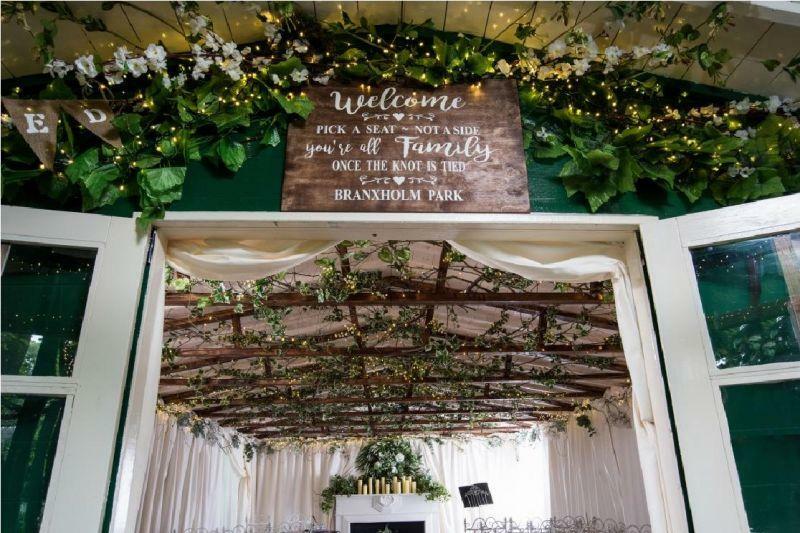 Branxholm Park is also dog friendly so how about bringing your own special ring bearer with you and not forgetting the children too with an indoor cinema, an animal enclosure, an adventure playground plus lots of games available the kids can be part of your special day too. Fully catered for up to 40 guests, this is a venue not to be missed!